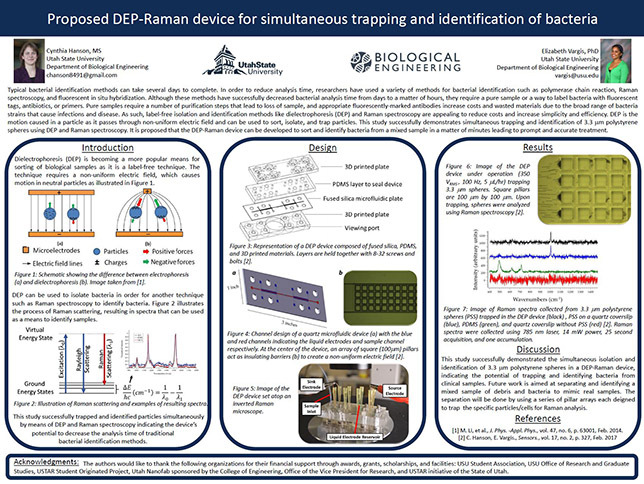 At the Student Research Symposium on Apil 13, 2017 Biological Engineering Ph.D. student Cindy Hanson earned the Graduate student poster award in the Engineering discipline for her poster titled Proposed DEP-Raman device for simultaneous trapping and identification of bacteria. 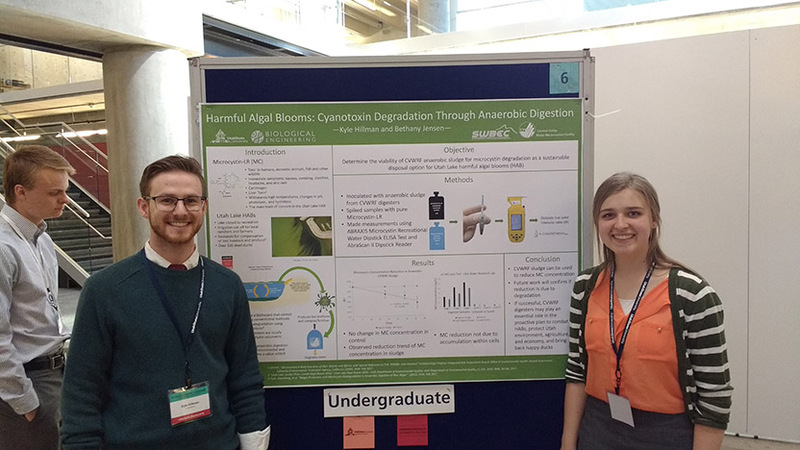 In the Undergraduate student division, the department of Biological Engineering is also pleased to announce that Bethany Jensen and Kyle Hillman also were presented an award for the Engineering discipline for their research poster "Harvest and Disposal of Hazardous Algal Blooms." 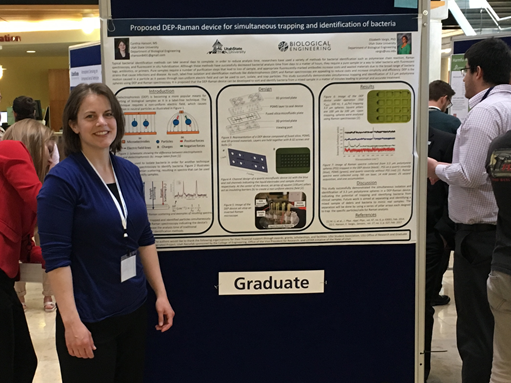 Bethany Jensen and Kyle Hillman earned the Undergradate poster award in the Engineering discipline.